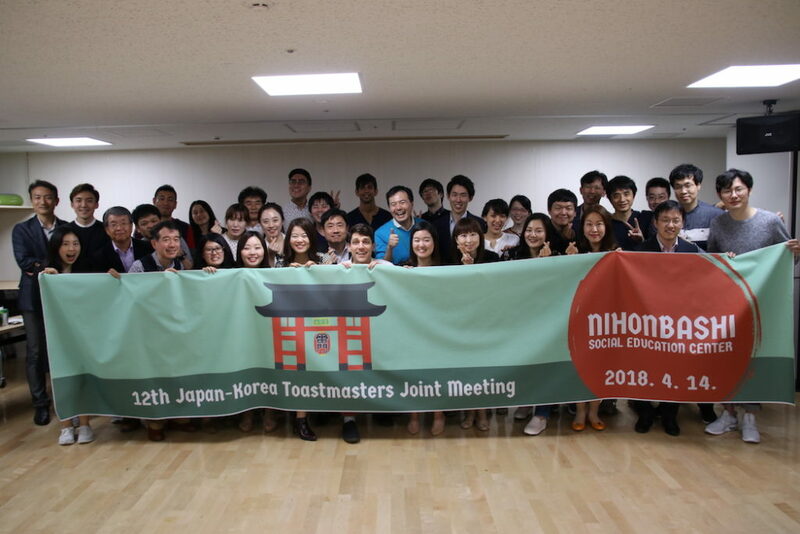 Our 12th Korea Japan joint meeting was held on April 12th, 2018 at Nihonbashi social educagtion center. Today‘s TMOD was TM Ma. and TM Su. Today‘s Word of the Day was announced by TM Ka as “Imprssed””Moving” in English and “kandou shimasita”in Japanese. There were 4 prepared speeches. First speech was made by TM Chan with the title “My background:Toastmasters Journey”. He is learning lots of things from Toast masters club. He attened the meeting when he made lots of friends. He is learnig leadership with his members. Toastmasters has good edcution systems and he enjoy it in the assciation. It’s using and have fun in his unversity. “Bad things” on his inside. He asked some advice from the member and doesn’t forced your thinking. It’s important her thinking. to work in Japan when he joined TMTC, becase he want to improve his Japanese speech skills in TMTC. Table Topics Session was conducted by TM Miya and TM Leo. from the table topic masters. Evaluation session was led by General Evaluator TM And. Today‘s evaluators for the prepared speeches were TM ken.. TM Kay..TM Tad.. and TM Hyu.. They had great evaluated their speech each others. A two guys that TM Ejy. TM.Fuj addressed closing comments for us. It were great speeches. We moved it. TM Jeo. for the Best Evaluators. TM Tak. for the Best Speaker. April 15 2018, This minutes was written by Sat.